The yellow banded bumblebee (Bombus terricola) is a North American species of bumblebee. It has been in decline across its range. This bumblebee is now down to about 10% of its former numbers. Recently, its genome has been sequenced at York University, Canada. This genetic analysis shows that the bumblebees are inbreeding. As bees become more inbred, the face difficulties in maintaining their population numbers. As population become smaller, there is a greater risk of inbreeding. Inbred bees have problems in terms of fertility. Males can become infertile so that if they mate with a queen, there are no offspring or the queen may produce sterile males instead of worker bees. 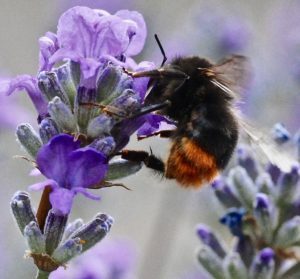 On a more positive note, there is some evidence that some bumblebee species are adapting to the effects of climate change On mountains ranges, like the Rockies, the make-up of the flora in such areas is changing and bumblebees have been in decline in such alpine regions. Bumblebees fall into two broad categories - specialists and generalists. 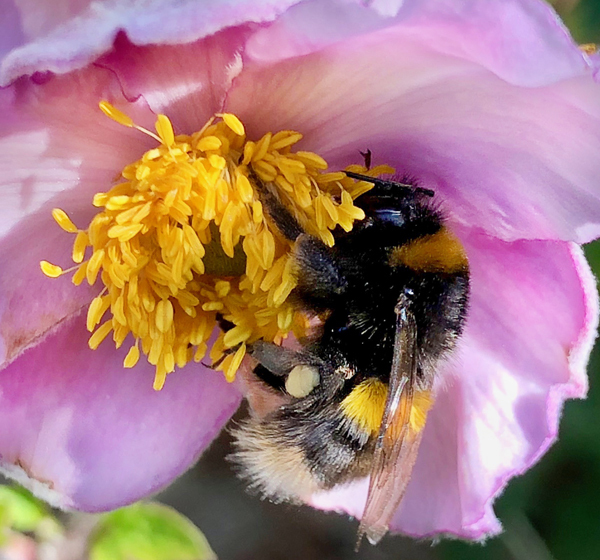 Specialist bumblebees have long tongues to probe deep into flowers, whereas short tongued bumblebees are generalists - and tend to collect pollen from a variety of flowers. 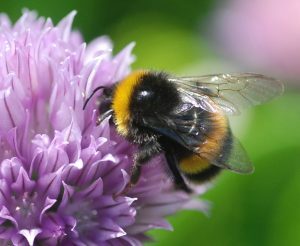 Researchers compared the tongue lengths of bumblebees collected between 1966 and 1980, and those of present day bumblebees in the same areas. They found that the tongue length had decreased by 25% - this correlated with a shift (and decline) in the flower populations. The relative advantage of being a specialist and generalist shifts according to the plants / flowers available. When ‘deep’ flowers are in short supply and the total number of all flowers falls, the advantage of the being a generalist with a short tongue increases sharply. Such a change of tongue length in such a short period of time (40 / 50 years) is remarkable and indicative of the strong selective pressures operating on bumblebee populations. Bumblebees (and insecticides), again !